OK, this is it... 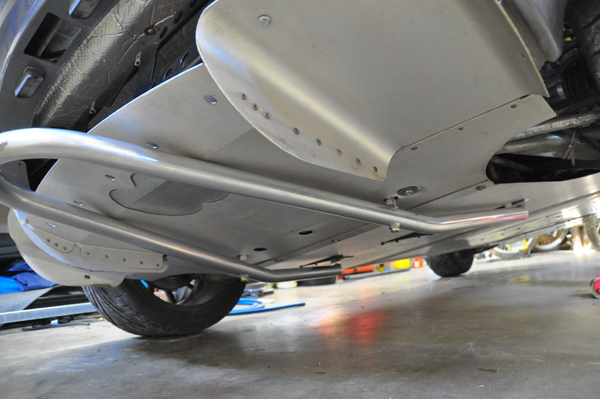 I have updated the webstore for our tow bars... 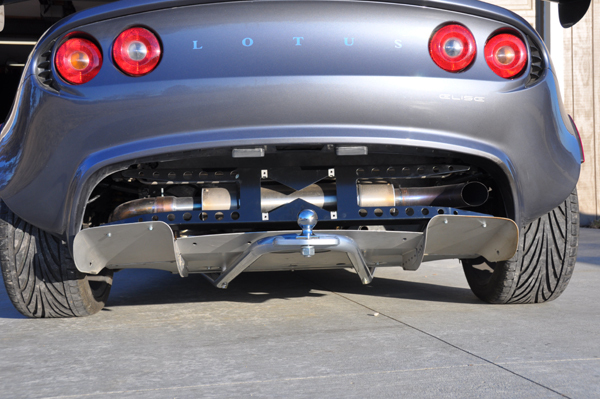 They are super slick and strong tow bars for towing your your small trailer on long trips or just to the track. All the bars are powder coated for a long lasting finish. The black will go perfect with anything. This silver very closely resembles a JetHot coating. Last edited by turbophil; 04-28-2009 at 05:34 AM. I wish I were more of a track junkie only to justify turbophil's gadgetry :^). So wrong... but so practical! Well, I just ordered one. I have access to both the small and the large harbor freight trailer (my dad had them all made up before he finally bought a giant enclosed trailer to tow to events). I'll install it and see what I think, and maybe I'll just limit myself to towing the small trailer with just a set of drys to known dry events and tow on the car trailer to possible wet events or further away events. 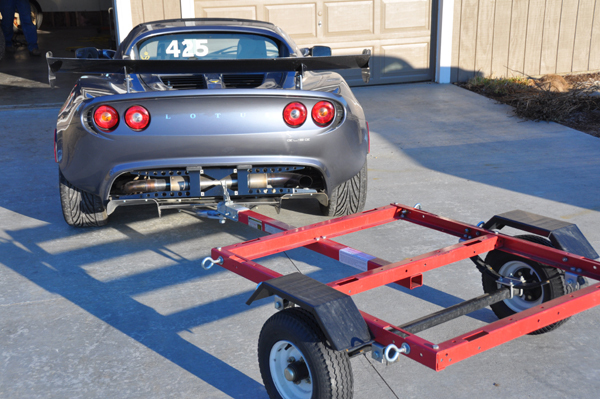 I need to get a better tow strap solution for the elise. These wheel straps that I have to re-rig up the ratchets to every time are crappy - takes me 20 minutes to take the car on or off the trailer. and, there's the question of wear and tear on clutch, transmission, etc. 400-500 lbs is 25% the weight of the vehicle... (before passengers). I'd worry less about the drivetrain if driven cautiously. Keep in mind that the Celica curb weight was 2425; add two adults, two big kids and a full tank of fuel and you're above 3100. That's normal duty for the 2ZZ. Would it be possible to see the install instructions, so i can see what needs to be drilled. A 4 x 4 trailer can carry a lot of stuff. I think the Harbor Freight is a more like 5 x 4. You can cut a wooden deck oversize if you really need that much space. Just keep the tongue weight reasonable. Does the hitch have connection points (bolt, etc) in the front? Nice design! Phil - I wish I could take advantage of this or the tilting clam or something else you offer. I really enjoy seeing your stuff. Thanks for sharing. I hope you sell them all quickly. So with this we can tow a trailer without a hitch . Thanks Phil, I just ordered the silver version. Looking forward to installing it. This will make this season much more pleasant. Also glad to know that you have traveled at good speed with the trailer. Has there been any hint of bearing issues on the trailer?